JustPublics@365 Drug Policy Alliance: How Does 1914 Harrison Act Connect with 1944 LaGuardia Report? Leading the Way: Opening Plenary: Drug Policy Today – Where are We Now? INQ 13 – Teddy Cruz – Diaspora: How Does El Barrio Live Beyond East Harlem? This week, JustPublics@365 continues our month-long exploration of stop-and-frisk, the controversial set of policing practices that, as the NYCLU has noted, has resulted in the questioning of hundreds of thousands of law-abiding black and Latino New Yorkers. In previous weeks, we have measured the effects of stop-and-frisk, interviewed leading activists working for changes in stop-and-frisk policies, and offered a comprehensive interactive timeline of important events related to stop-and-frisk. This week, we pause to consider the state of stop-and-frisk in New York City in the shadow of an important mayoral race and recent legislation. We’ll take stock of things with the help of journalists covering the issue and politicians taking stands on it. As we do so, we’ll be sharing resources that you can explore for more information and providing visualizations of stop-and-frisk practices. We hope you’ll join in this week as we continue to explore this important issue. Please help share this work through social media and please consider entering the conversation by leaving comments on our posts. This entry was posted in News, Topic Series and tagged policing, Stop and Frisk, stop and frisk nyc, Topic Series on October 28, 2013 by Matthew K. Gold. “I’ve been stopped a thousand times” – Black male survey respondent during the research conducted for Coming of Age with Stop and Frisk. How do you measure the effects of stop-and-frisk on NYC youth, such as the survey respondent above, who report having being stopped more often than they could count or remember? This was a pivotal challenge faced by researchers, Jennifer Fratello (Research Director, Vera Center on Youth Justice) and Andrés Rengifo (Associate Professor, Rutgers University) for their report Coming of Age with Stop and Frisk: Experiences, Self-Perceptions, and Public Safety Implications which attempts to capture the effects of stop-and-frisk. During a recent event organized by The Center on Race, Crime and Justice at John Jay College-CUNY on October 17th, Fratello and Rengifo discussed their research. Now that the NYPD’s stop-and-frisk practice was rejected by U.S. District Judge Scheindlin, the debate has shifted from discussions regarding its effectiveness in reducing crime to the effect it has on the lives of those stopped (in many cases more than once). As activists seek deeper reforms in policing, public scholarship is once again called upon to inform this debate. While conducting research, Fratello and Rengifo quickly found out that in order to capture the broader effects of stop-and-frisk, they would have to learn to ask better questions and work with key government and community groups. The latter is particularly important, as they soon realized, none of the stakeholders (e.g., schools, police, public agencies, churches) were talking to each other. During the October 17th meeting, panel speaker, Dr. C. Jama Adams discussed the importance of having greater institutional channels for communication among these stakeholders. He mentioned that stop-and-frisk should be addressed holistically through a community-approach. He feels this is the only way to address the deeply-rooted culture of “fearfulness” of which he finds Black males are often the scapegoat and which he feels stifles the individual creativity and spontaneity of all community members. Fratello and Rengifo faced challenges in capturing the instances of stop-and-frisk events in a respondents’ life. In some instances, the sheer scale of the policing practice proved to be a problem. In piloting the survey, the researchers discovered that they would have to modify their questions to account for multiple stops. For those people who were stopped more than once, they either asked them to talk about the last time they were stopped or their most memorable stop. Yet, even when conducting research in neighborhoods with high rates of stop-and-frisk occurrences, the researchers were not able to meet their data collection goals for two neighborhoods – Jackson Heights and South Bronx – even after adjusting their research questions and approach. In both of these areas they found that in general, people seemed reluctant to speak with outsiders about the police. However, in Jackson Heights they faced the additional challenge that the majority of residents (65%) are foreign-born and may have an added apprehension of talking with “outsiders” (Coming of Age with Stop and Frisk: 11). In other words, the very nature of stop-and-frisk makes it hard to measure its effects. The reason for this is that those most victimized have a general apprehension over being approached by strangers, especially to discuss involvement with the police. Despite these challenges, Fratello and Rengifo were able to uncover some of the corrosive effects of stop-and-frisk policing, especially on young people. They found that among the young people most stopped (between the ages of 13 and 25), trust in law enforcement is disturbingly low. 88 percent of young people surveyed believe that residents of their neighborhood do not trust the police. Only four in 10 respondents said they would be comfortable seeking help from police if in trouble. Young people who have been stopped more often in the past are less willing to report crimes, even when they themselves are the victims. Each additional stop in the span of a year is associated with an eight percent drop in the person’s likelihood of reporting a violent crime he or she might experience in the future (Coming to Age with Stop and Frisk: 89). These findings present several troubling public safety implications. For one, this population is most at risk of future victimization, therefore, its worrisome to consider they may feel like they have no where to turn if victimized. Secondly, they are also the ones for whom law enforcement needs to connect with in order to solve crimes and significantly improve safety in these neighborhoods. Previous studies have found a similar level of distrust of law enforcement among urban youth of color. In a series of qualitative interviews with urban youth in the United States, Canada, and Australia, Ruck and colleagues document that these young people were not only concerned about abusive treatment by police but were also resigned to it because they saw it as “inevitable and unlikely to change” (Ruck et al., 2008:20, “Youth experiences of surveillance“. In M. Flynn & D.C. Brotherton). However, other studies have shown that distrust of law enforcement can be spread through social networks and does not necessarily require direct contact with the criminal justice system (Menjívar & Bejarano, 2004, “Latino immigrants’ perceptions of crime and police authorities in the United States: A case study from the Phoenix Metropolitan area“). Clearly, this highlights the need for more research to discern between other factors which could give rise to distrust of law enforcement. Fratello and Rengifo include a set of timely recommendations in the Vera Institute report aimed at restoring trust and improving police-community relations. Most relevant for academics is their recommendation for the NYPD to partner with researchers to better understand the costs and benefits of various proactive policing strategies meant to replace stop-and-frisk. Although academic-police partnerships are not new and reflect a growing trend toward “evidence-based” practice, it is not a relationship which comes easily for either police or researchers. In the article, “Partnerships with University-Based Researchers,” in a 2009 edition of The Police Chief Magazine, Sanders notes that although partnerships between law enforcement leaders and academic researchers have achieved much success and demonstrate long-term benefits for both, “only a small number of law enforcement agencies have actually reaped the benefits of research partnerships” (Sanders, 2009). Other scholars describe these partnerships as filled with mutual misunderstanding that negatively impacts police-academic relationships and practices (Bradley and Nixon, 2009: “Ending the ‘dialogue of the deaf’: Evidence and policing policies“). This research raises serious questions about the prospects for success of the proposed Academic Advisory Council, proposed by Judge Scheindlin. 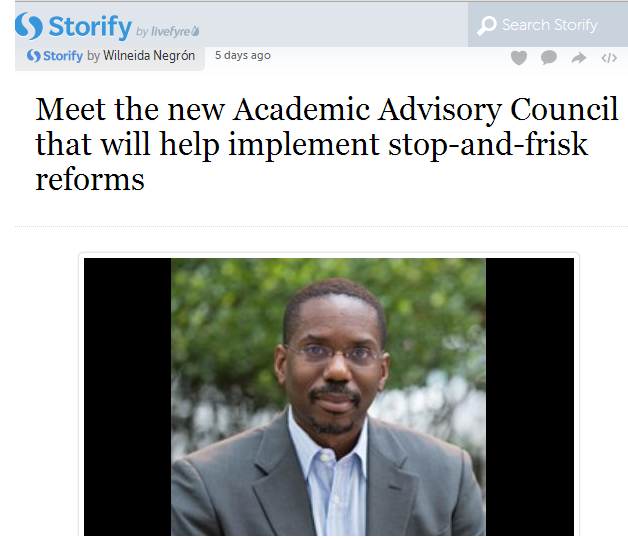 This council is intended to engage in a “community-based remedial process to develop sustainable reforms to the stop-and-frisk practices of the NYPD.” Scheindlin recruited Brooklyn Law School Professor I. Bennett Capers to be chair of the council, along with a dozen law professors from Columbia, Yale, Fordham, City University of New York (CUNY), Rutgers and Hofstra law schools, all of whom will serve in a pro bono capacity. Although this Academic Advisory Council will set to play a large role in informing and shaping further police reforms, it is worth noting that other police-academic efforts at reform are underway. One important new initiative is The Center for PolicingEquity.org, which seeks to promote police transparency and accountability by facilitating innovative research collaborations between law enforcement agencies and social scientists. The Vera Institute report, Coming of Age with Stop and Frisk, by Fratello and Rengifo is a significant contribution to understanding the effects of stop-and-frisk policing, and there is much work to be done in documenting the effects of this practice, and in charting a new way forward. The ruling by Judge Scheindlin makes it clear that the future of New York City is one without stop-and-frisk. Academic researchers who are interested in this issue have a unique opportunity to help shape this future. This entry was posted in Impact, News, Topic Series and tagged coming of age with stop and frisk, effects, effects of stop and frisk, infographic, judge Scheindlin nyc, police and academic partnerships, Stop and Frisk, stop and frisk nyc, vera institute stop and frisk report on October 23, 2013 by Wilneida Negron. Digital Storytelling is a tool that helps to create and build communities through sharing individual and collective experiences. The simple act of listening to a person’s story can personalize otherwise seemingly abstract theories and policies. In June of 2013, Community United Against Police Reform released a series of short documentaries that highlight the impact of stop-and-frisk on ordinary citizens and communities in New York City. These stories take us beyond the charts and numbers on stop-and-frisk and give us an honest look at the personal experiences resulting from a political action. This post is part of the JustPublics@365 Monthly Social Justice Topic Series on Stop-and-Frisk. This entry was posted in News, Topic Series and tagged Community United Against Police Reform, Digital Storytelling, stop and frisk nyc on October 15, 2013 by Morgane Richardson. Today begins our month-long social justice topic series which asks academics, activists, and journalists to reimagine New York City after the end of stop-and-frisk and to consider how civic engagement and greater democracy might be promoted for all residents. The first week of this month’s series, Stop-At-Frisk At A Glance, will provide an overview of the issue to-date. We will include a blog post on the connection between social justice and activism, as well as interviews with activists and academics in the field. Emily Sherwood, a member of the JustPublics@365 team, will introduce an interactive timeline about milestones in the Stop-and-Frisk story along with steps to creating your own digital timeline to use as a form of digital activism and social engagement. Stop-and-frisk has been a tool used by the NYPD for decades, though in recent years the number of criticisms and grassroots protests around police tactics has increased tremendously. In the case of Terry v. Ohio (1968), the United States Supreme Court established a national legal basis allowing officers to stop, question and frisk citizens. This decision allowed police officers to stop and detain individuals based on reasonable suspicion rather than a higher level proof of probable cause. According to the NYCLU, New Yorkers have been subjected to police stops and street interrogations more than 4 million times since 2002. Nearly 9 out of 10 of those stopped and frisked have been completely innocent with Black and Latino communities representing an overwhelming target of these tactics. While Mayor Bloomberg and New York City police officials have stated stops-and-frisks are beneficial for decreasing crime, citizens of NYC affected by stop-and-frisk saw these tactics as intrusive, unwarranted and ineffective. Together with activists, journalist, and academics, the city of New York City organized to shed light on the realities of stop-and-frisk and on August 12th, 2013, the U.S. District Court Judge Shira Scheindlin found that the New York City Police Department had violated the Fourth and Fourteenth Amendments in the way that they have conducted stop-and-frisks, thus ending a controversial policing experiment. 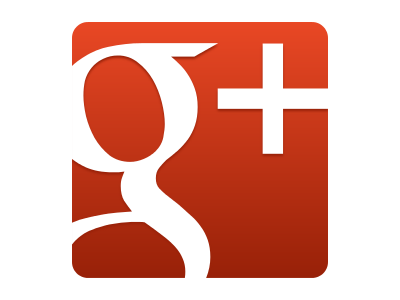 Click here for more information about our Monthly Social Justice Topic Series. Be Informed. Stay Updated. Stop, Question and and Frisk Policing Practices in NYC. A Primer (Revised). This entry was posted in News, Topic Series and tagged activism, digital tool academic blogging, Morris Justice Project, Stop and Frisk, stop and frisk nyc, stop and frisk nyclu on October 10, 2013 by Morgane Richardson. 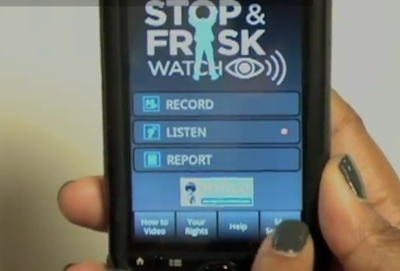 I recently reached out to the New York Branch of the American Civil Liberties Union (NYCLU) in order to find out more about their new “Stop and Frisk Watch” app for IPhones (available in English and Spanish) and Androids (only in Spanish). This app appeared to be a perfect unison of grassroots activism and digital technology in addition to being a good example of how digital technologies can alleviate a social injustice. As I later found out from the NYCLU Communications Director, Jennifer Carnig, the way that this app came to fruition also provides important lessons for academics trying to incorporate digital technology into their research and/or activism. The stop-and-frisk practices of the NYPD having been troubling academics, community groups, and digital activists alike. Just two weeks ago, Dr. Michelle Fine and Dr. Maria Elena Torre spoke at the participatory, open, online course “POOC”: Reassessing Inequality and Reimagining the 21st Century: East Harlem Focus, on their participatory action research study of the NYPD’s “Stop and Frisk”. With this persistent and growing concern, NYCLU seized the opportunity to partner with a Brooklyn-based visual artist and software developer, Jason Van Anden. Van Anden was the developer who had previously created the Occupy Wall Street app, “I’m Getting Arrested.” Together the NYCLU and Van Anden set to create an app that would provide New Yorkers with the tools needed to monitor, report police activity, and hold the NYPD accountable for unlawful stop-and-frisk encounters and other police misconduct. (1) Film an incident with audio which after being submitted would go to the NYCLU for review. (2) Receive alerts of when people in their area are being stopped by the police. This is an important feature for community groups who monitor police activity. (3) Report a police interaction they saw or experienced, even if they didn’t film it. (4) Learn about their rights when confronted by the police through “Know Your Rights” resources that instruct people about their rights when confronted by police and their right to film police activity in public. 1) Pay close attention to current trends in social movement offline and digital repertoires of contention. The New York Civil Liberties Union developed this app as a result of what they dub, “intersection between crisis and opportunity”. During the height of Occupy Wall Street, the NYCLU kept getting press calls about an app called I’m Getting Arrested, which allowed Occupy Wall Street protesters to send a text message to select people to alert them that they were getting arrested. The NYCLU loved the app and immediately thought about all of the ways that same technology might be useful to deal with the issue of unlawful stop-and-frisk practices among young black and Latino men in New York City. They reached out to Van Anden to discuss possible collaborations and he was immediately sold on the possibilities of bringing technology to social justice. 2) If the data presents a disturbing trend – don’t just report the trend. Also, consider and propose ways that free and easy to use digital tools can empower your population of interest to take matters onto their own hands! The NYCLU noticed a disturbing trend since 2011. During this time, they saw that police street interrogations were skyrocketing. Over the course of the Bloomberg administration, stop-and-frisks had gone up more than 600% – from 97,000 in 2002 to nearly 700,000 in 2011! Concurrently, 9 out of 10 people stopped are eventually found innocent, and as noted earlier more than 85% of people stopped are black or Latino. The NYCLU thought it would be empowering for New Yorkers to have a free, easy way to fight back, using the one tool that most people have in their pockets all the time – a smartphone. Stats show that two-thirds of young adults own smartphones. This technology clearly has the power to help change the way we look at and understand the world around us. In putting this app together the NYCLU relied on their network, Communities United for Police Reform, of which they are part of the steering committee. This allowed them to get much needed feedback and support from other member organizations who were either formally or informally involved with developing, testing or sharing information about Stop and Frisk Watch. They also noted that Justice Committee and its Cop Watch groups have been particularly helpful in testing and their members are using the app themselves as they observe the police. At the same time, they partnered with NYC immigrant social justice group, Make the Road by Walking, who translated their app into Spanish. In choosing to develop an app, the NYCLU was well aware that 2/3 of young adults own smartphones; by 2013, 3 out of 4 Americans who acquire a new mobile phone will choose a smartphone; and 72% of smartphone owners will be between 24 and 35. This age range is the perfect demographic for the NYCLU to reach as it is this same group that is being targeted by the police and as such the most likely to use the app. They also designed the app so that it would be extremely easy to use and hope that its usability will turn passive observers or other disenfranchised by this disturbing trend to become empowered community-problem solvers. This entry was posted in Knowledge Streams, Publics and tagged digital activism nyc, digital movement repertoires, racial profiling brooklyn, racial profiling nyc, social movement repertoires and technology, stop and frisk app, stop and frisk nyc, stop and frisk nyclu on March 4, 2013 by Wilneida Negron. Open Access: What Is It and Why All the Fuss?